Marshall Fredericks arrived at Cranbrook in 1932 to assist Resident Sculptor Carl Milles and eventually remained to teach courses in ceramics and sculptural modeling at the Academy of Art, Kingswood and Cranbrook schools. His years at Cranbrook were among the most productive of his entire career. By the time he left to enter military service in 1942, Fredericks was a well-established sculptor with a string of prizewinning works and significant commissions to his credit, including the Levi L. Barbour Memorial on Belle Isle in Detroit and The Thinker that graces the steps of Cranbrook Art Museum. 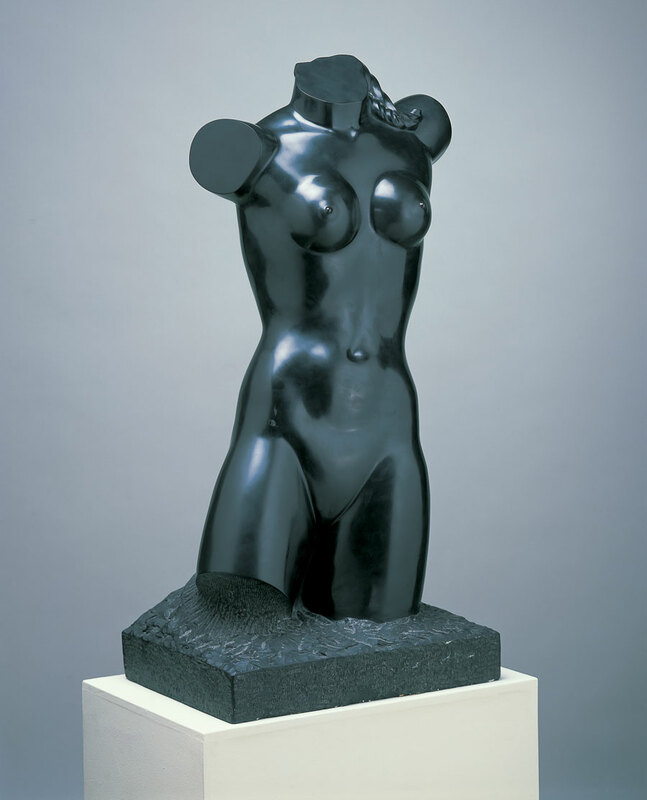 Fredericks modeled Torso of a Dancer in clay in his studio at Cranbrook in 1938, then spent the next year and a half carving it in Belgian black marble. The work is unique, inasmuch as all other copies are in bronze. With its elegant, graceful lines, Torso of a Dancer demonstrates Fredericks’s skill at capturing the fluid curves and taut forms of the idealized human body.